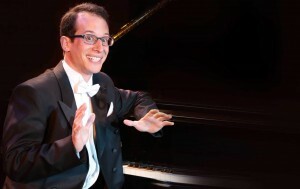 Jerry Goodspeed was born and raised in Fairfield, Connecticut and has show business in his blood as a descendant of William Goodspeed, the founder of the renowned Goodspeed Opera House in East Haddam, Connecticut. 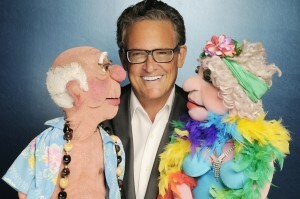 Jerry began practicing ventriloquism at the age of eight and turned professional at the age of twenty-six. A winner of the prestigious International Ventriloquist Competition, Jerry has appeared in cabarets and nightclubs all over the globe including stops in Hong Kong, Singapore,Tangier, Estoril and Monte Carlo. He has been an opening act for such stars as Leslie Uggams, Chubby Checker, Al Martino, and Charo. 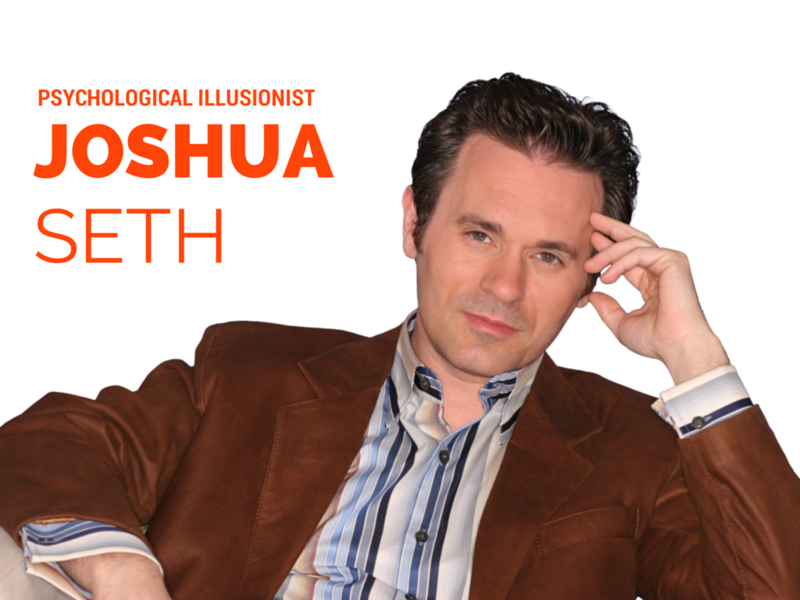 He continues to entertain audiences around the world aboard the best cruise lines. The stage is set, the lighting is perfect and the international musical extravaganza begins. 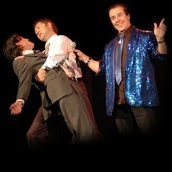 The show duplicates the famous night club scene of days long ago. 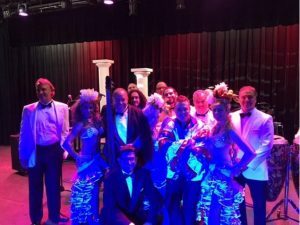 Whether in Europe, South or North America you can feel the excitement of Latin dance rhythms and the intensity of the big band era. Tangos, Ballads, Rumba’s and Swing are on the menu with the Great American Songbook. Get ready folks for this lively show. 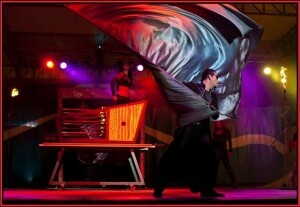 To begin, electrifying female and male vocalist set the scene…3 exotic dancers follow. All accompanied by the American 9 piece orchestra. This show is a mere 5 years old and sure to be a hit for many more. This New York-born and reared classically trained violinist turned “bombshell electric violinist” began studying violin at a very young age. She quickly showed that she had that certain combination of hunger to learn the instrument, as well as that innate quality of talent that her teachers knew she would go far in music. She studied with various teachers until she finally met and began to study with her mentor—Professor Sylvan Schulman from Julliard School of Music. At the same time, Randi continued her academic studies and went on to pass the bar exam and became a licensed attorney!! Music had always been her first love, though, and in 1995 she decided to devote all her attention to music. Since then she has played with the L.I. SYMPHONY ORCHESTRA, international recording artists AIR SUPPLY, FOGHAT, BB KING, CHAD SMITH (Red Hot Chili Peppers), JOURNEY, KANSAS and with CLARENCE CLEMONS of BRUCE SPRINGSTEIN AND THE E STREET BAND fame and his band called THE BAND OF FAITH, among others. 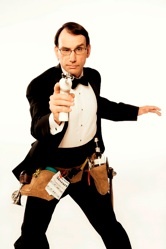 Headlining in theaters, casinos, cruise lines, and corporate events for some of the top Fortune 500 Companies he never ceases to amaze his audience. 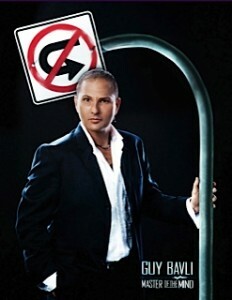 Guy Bavli takes you on an adventure filled with hypnotic excitement, motivation, and magical wonder. Identical twins Eddie and Anthony Edwards may look alike offstage, but onstage they transform into some of your favorite celebrities from Barbra Streisand to Elton John. 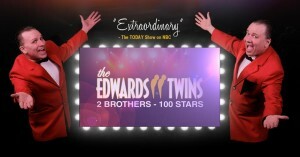 Named the #1 impersonation show in the country by newspapers, TV shows, and magazines alike, The Edward Twins have traveled the world performing 250 shows a year for over 10 years. 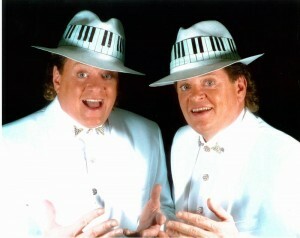 Their unforgettable night of impersonations was featured in a main story on NBC’s Today Show to rave reviews.